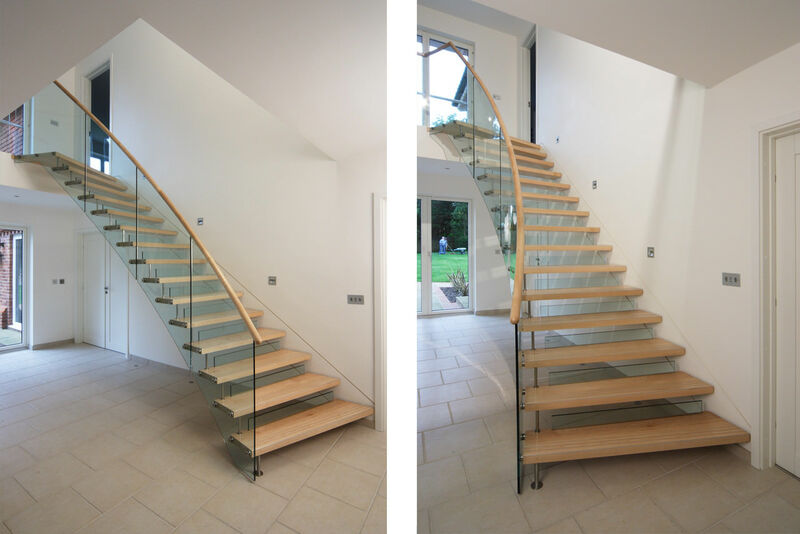 A sweeping helical ‘twin-pin’ type staircase with solid Oak treads and structural glass balustrade to the open side of the flight. 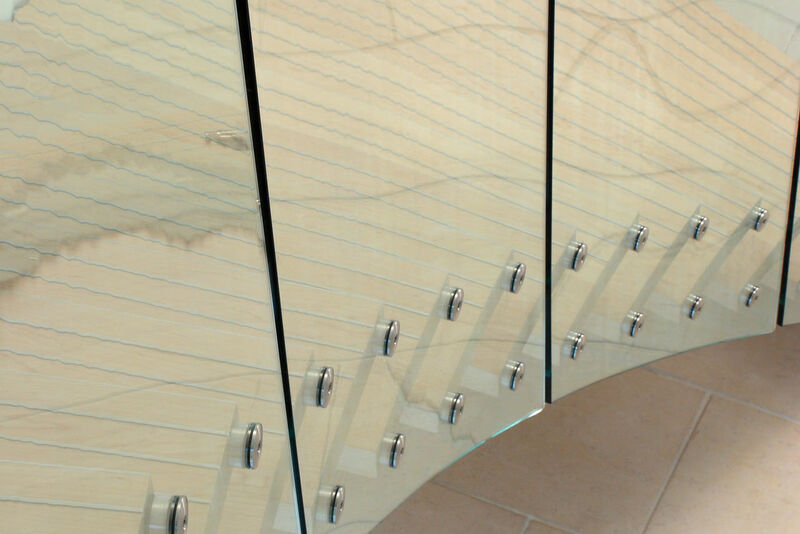 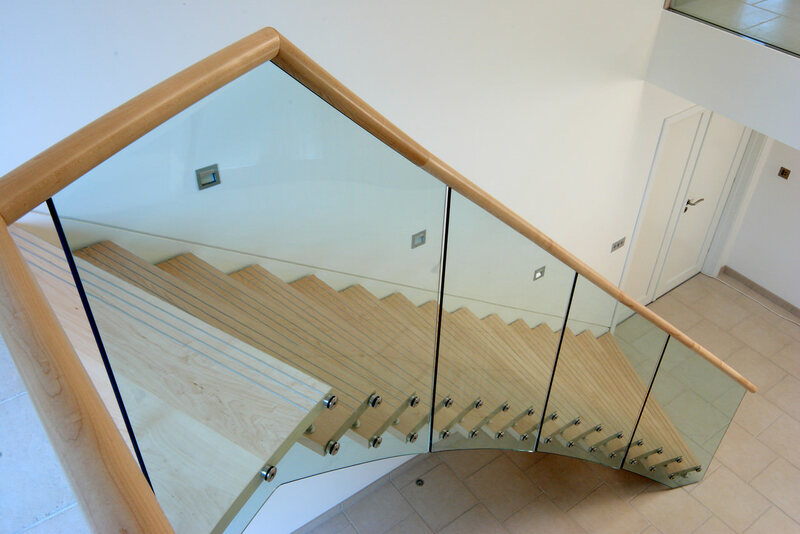 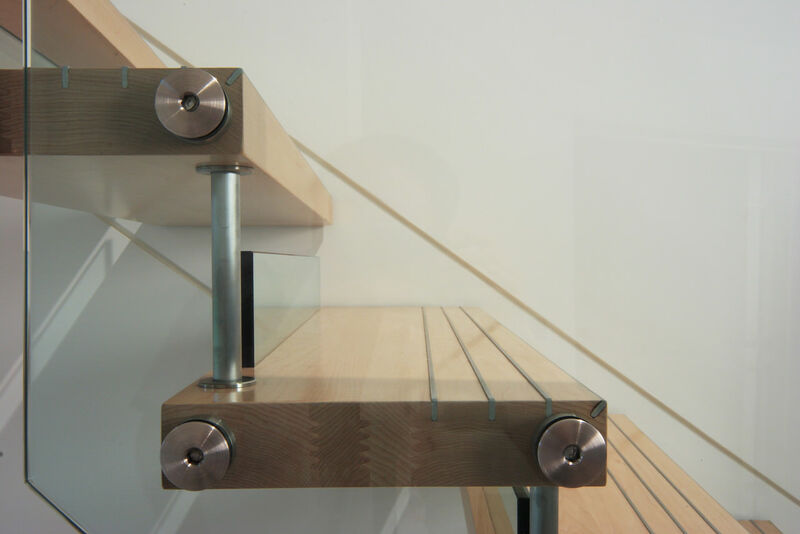 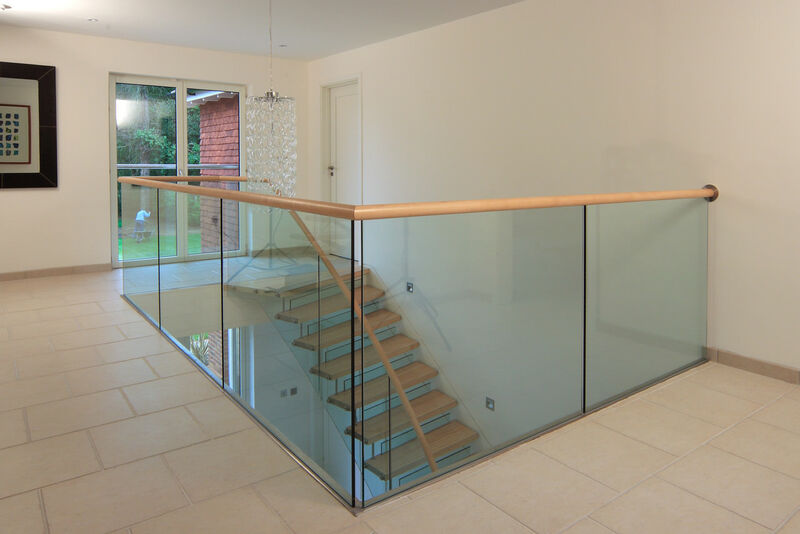 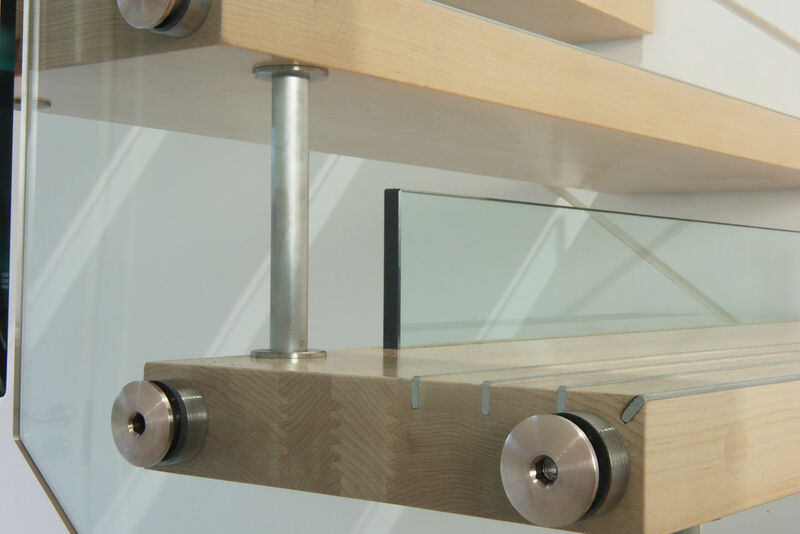 Solid hardwood helical handrail slotted over the top edge of the curved toughened glass panels. 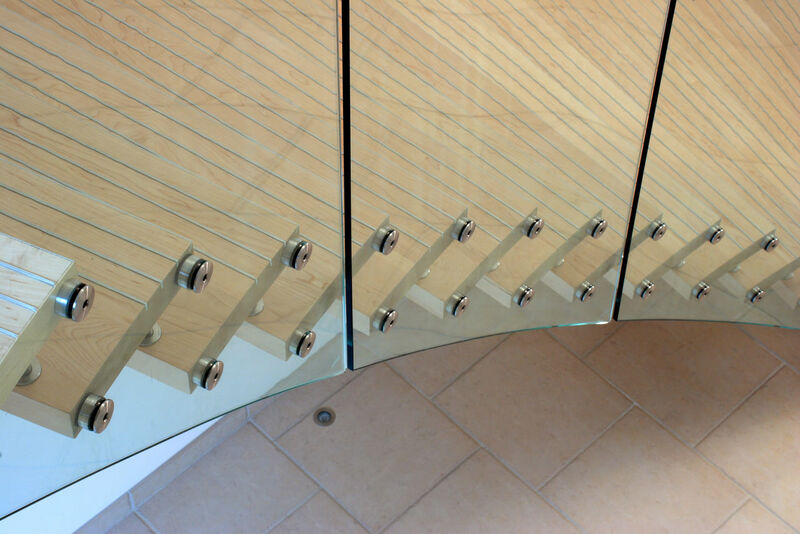 The supporting stringer is just visible, set flush into the wall. 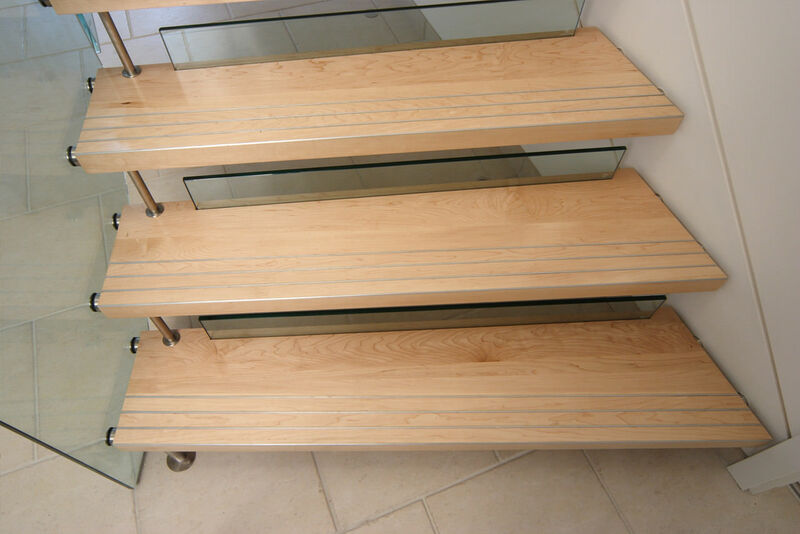 Glass risers to the back of the treads are provided for compliance in this domestic situation.